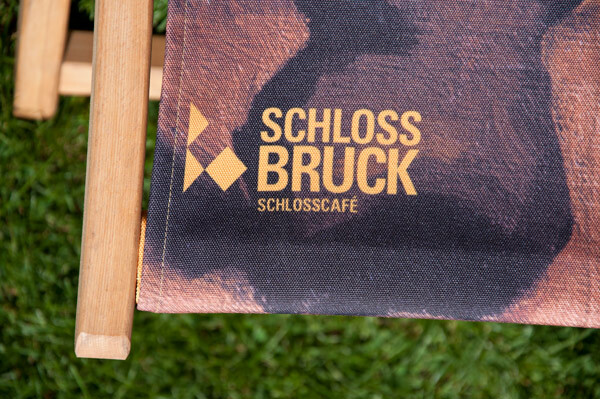 This pair of deck-chairs is one of the newest additions to the shop of the Museum Schloss Bruck in Lienz (Austria). 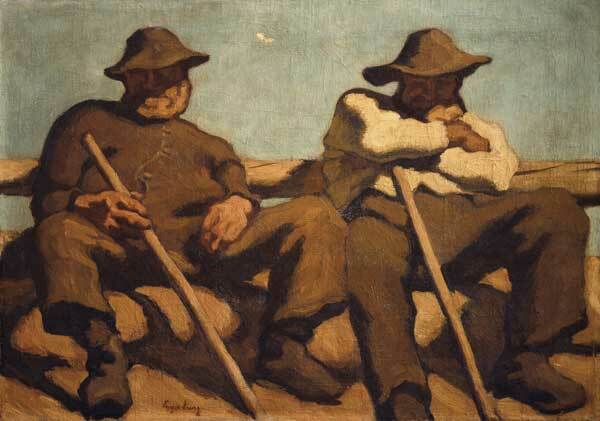 The painting „Ruhende Hirten“ by Albin Egger-Lienz is one of the most iconic pieces in the museums collection and depicts two resting herdsmen dozing off in the alpine sun. 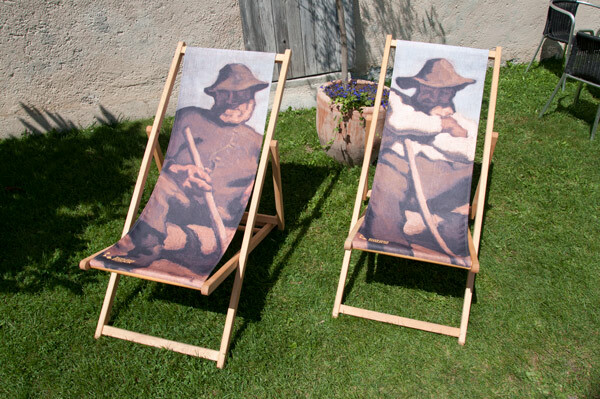 Each one of the chairs shows one half of the painting thereby making the resters pose as one of the herdsmen.